Star Wars: The Last Jedi, written and directed by Rian Johnson, is the latest installment in the celebrated Star Wars film series, created by George Lucas. The Last Jedi has a stellar ensemble cast led by Star Wars stalwarts Mark Hamill and Carrie Fisher who passed away in December last year. The movie also stars Daisy Ridley, Adam Driver, John Boyega, and Oscar Isaac in the major roles with Laura Dern and Benicio Del Toro making special appearances. The Last Jedi is produced by Lucasfilm and distributed by Walt Disney Studios Motion Pictures. 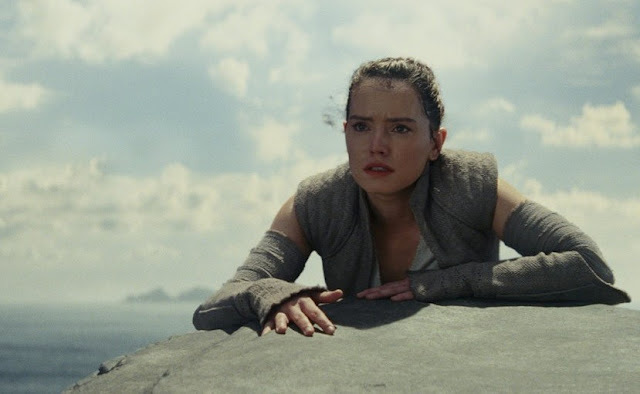 The Last Jedi picks up right after the turn of events in The Force Awakens, which had ended in a cliffhanger with Rey finally discovering the whereabouts of Luke Skywalker. As Rey confronts Luke and tries to inquire about the reason of his mysterious disappearance, the Resistance fighters led by General Leia must try and keep the First Order at bay. 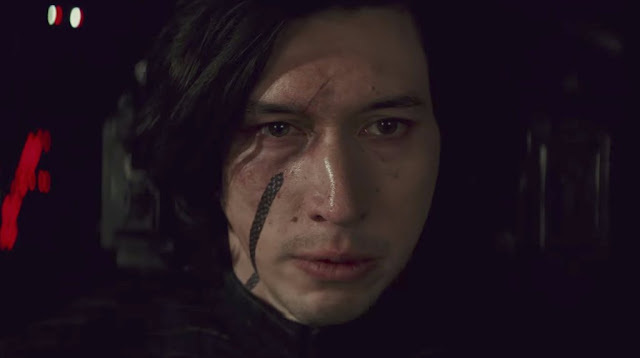 Meanwhile, Kylo Ren continues to suffer, trying to deal with his inner demons, even as he tries to establish a telepathic connect with Rey. As for Finn, he must pull off a dangerous mission in order to disable the tracking device employed against the Resistance vessels by the First Order. 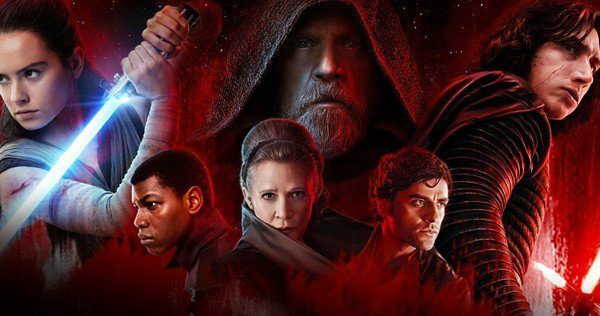 What makes Star Wars movies memorable are their heroes and villains and fortunately there is plenty of that in The Last Jedi as well. Speaking of heroes, who is the greatest of all Star Wars heroes? That spot is undoubtedly reserved for the one hero who successfully resisted the dark side of the Force against all odds. Who can forget the epic lightsaber duel on Cloud City in The Empire Strikes Back which paved the way for arguably the greatest reveal in movie history? It's that character again that comes to the rescue and saves The Last Jedi from becoming a predictable fanfare. By now you would have guessed it that it's Luke Skywalker that I am talking about. 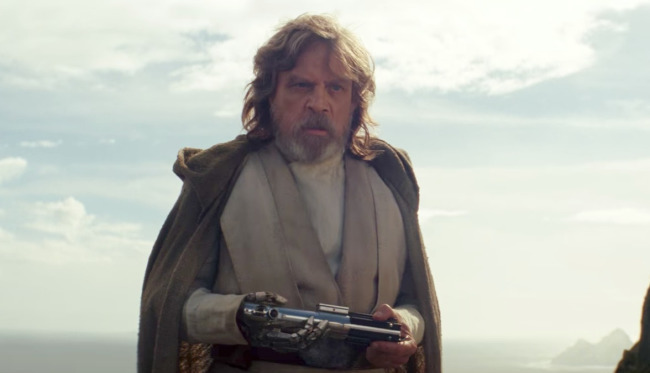 Mark Hamill, in a long awaited come back to the Star Wars movie franchise, succeeds in bringing back so many fond memories of the original trilogy. However, even with Hamill back in the mix of things, most of the film gives in to the usual fanfare, offering little new, save the brilliant climax that once again rests on the shoulders of our beloved Star Wars hero. In a moment of pure cinematic magic, Luke does something that changes everything about what we hitherto know about the Force. I am certain that it would remain the fondest moment for many a Star Wars fan. Clocking at 152 minutes, the film is at least 20 minutes too long and needless to say it's the last 15 minutes or so that are most memorable. The Last Jedi is a serious improvement on The Force Awakens which was little more than a movie made to flatter the millions of Star Wars fans the world over. The acting overall is much better; also, the lightsaber skills of Daisy Ridley and Adam Driver seem to have improved greatly. It’s a pity that The Last Jedi too lacks a worthy lightsaber duel that’s often seen as the movie franchise’s signature. Conscious efforts have been made on the part of the makers to bring strong women characters to the fore—a welcome trend that started with The Force Awakens. The droid humour in The Last Jedi provides much needed comic relief in between scenes of chaos and carnage. The Last Jedi is not the greatest Star Wars film but it certainly is a worthy addition to the galactic saga. Recommended!